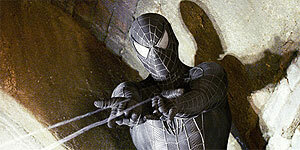 This is a huge step forward from Sam Raimi's dire overrated first two Spiderman movies. I love the stunningly dark mood which works just perfectly. This is how Spiderman should be. I also love Venom as a villain. It is Venom who really makes this third installment a darkly gripping spectacle. The film is undoubtedly weakened by Tobey Maguire's still incredibly weak portrayal of Peter Parker and there's plenty of plain stupid villains, but I was fairly impressed by this new take on the legendary superhero that deserved a better shot at cinema success.